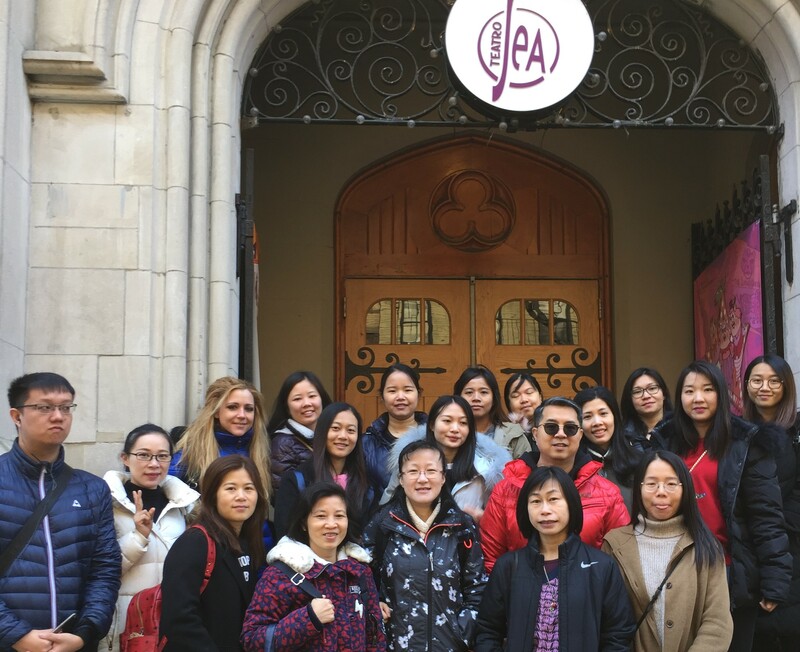 CPC’s Adult Literacy Program visited the Educational Theater of New York on April 2, 2019 and watched "The Open Window" and "The Necklace", two plays adapted and directed by Barbara Bregstein. The plays, originally written by HH Munro and Guy de Maupasssant [respectively], were adapted so that ESL students in the audience could actively participate. The presenter would take questions from the audience after each scene, and scenes could be repeated on request. In the post-performance discussion, the students were able to ask the actors additional questions about their characters. After the performance, the CPC instructors reviewed relevant vocabulary with their students and led discussions based on the two plays. Through CPC's Adult Literacy Program, students learn English literacy skills supplemented with civics education and an understanding of American and New York City culture. Registration for CPC's ESOL/Civics classes is currently open. For more information about our open houses in Manhattan, Queens, and Brooklyn, please visit our events page here.